I picked this up at the most recent Polish Con in Chicago. I couldn't pass it up and now I'm sharing the results! From seeing pictures online of this polish, I didn't quite understand its popularity. But when I saw it in person, I had to have it! 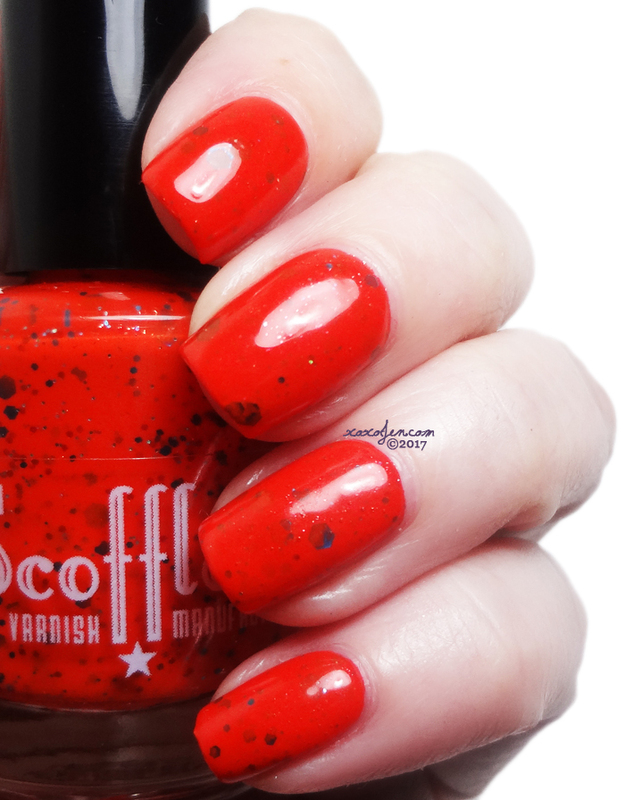 The super bright red-orange crelly peppered with royal blue glitter is certainly eye catching and super fun to wear! 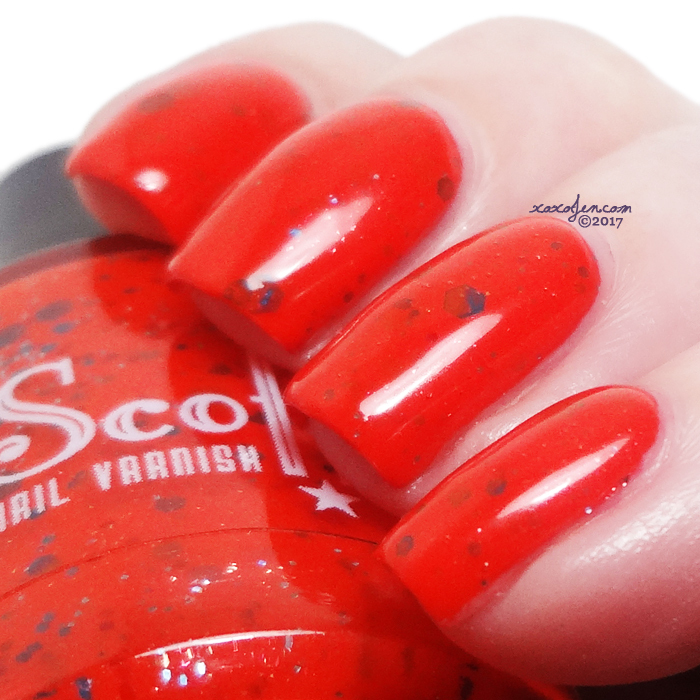 What is your favorite Scofflaw polish?